Welcome to the website of Ars Musica Sp. z o.o. My name is Marek Kunicki. 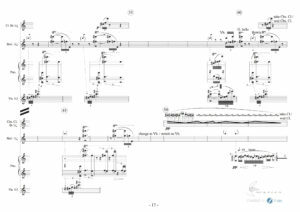 My company is specialized in preparation of a widely understood music notation and music graphics for publications (books, booklets, presentations), scientific works (bachelor’s and master’s theses, doctoral dissertations and others). Moreover, my company offers a full service in the area of preparation of music scores: re-writing manuscripts, preparation for publication, preparation of orchestral parts, preparation of piano transcriptions for the registration of music pieces at ZAiKS.